For my final mock draft I wanted to present a couple different scenarios. The first being what I would like to see the Packers do during the draft, and the second being what I think Ted Thompson and the Packers may do based on best player on their board and not drafting to fill a need. 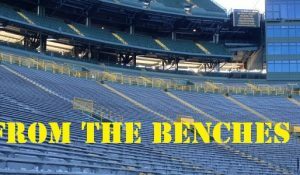 The Packers have enough holes to fill on the roster that few selections would surprise me, and it will be interesting to see how the Packers weigh their needs versus value during the draft. The one position that I see as a big need that I had a difficult time finding a spot for was tight end. I would love the Packers to be able to get Austin Seferian-Jenkins or Jace Amaro in the 2nd round, but I doubt they last to the 53rd pick, and if they do, would they be worth selecting over a safety considering how big a need it is for the Packers. Here are my thoughts on what the Packers should and will do during the draft. The speedy Ohio State linebacker would be an instant upgrade to the middle of the Packers’ defense. CJ Mosley would also be an option here as well, but despite the rumors of his draft stock falling, I think he is too talented to fall this far in the draft. Many Mock drafts have started moving Latimer into the first round, although I haven’t seen him go this high. However, he is rumored to be the 4th ranked receiver on the Packer’s board. 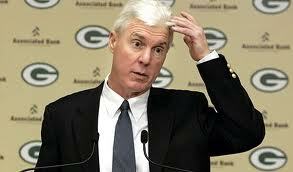 Ted Thompson hasn’t surprised the Packer fan base with his 1st round pick in some time, so maybe he is due. This is higher than I would like to see the Packers select a wide receiver, but it’s hard to argue with giving Rodgers another weapon. The speedy Brooks is exactly the type of safety the Packers need. The former cornerback has good range and coverage ability, and is also a hard hitter for a player his size. Brooks had 56 tackles, 2 interceptions and 2 forced fumbles his senior season. Jimmy Ward or Deone Bucannon could also be options here if available, but with so many teams in need of safety help I believe they will both be gone. 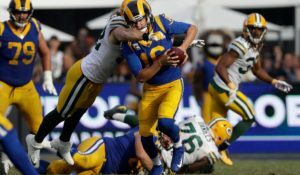 Thompson doesn’t always select players that will make an immediate impact; rather he looks to the future and keeping the Packers’ roster stable. Rice may not see the field much this season, but with 3 of the Packers’ current corner backs hitting free agency next year, Rice could play a big role next season. Initially thought of a late round pick, Gaines’ draft stock has skyrocketed since running a sub 4.4 at the combine. Murphy was very productive at Stanford and led the nation in sacks last season with 15. He has also been a true outside linebacker in a 3-4 scheme and not a defensive end the Packers would have to work at converting. Ted and I agree on this one. Murphy just seems like the type of tough, productive, hard working player the Packers would love. If he is there for them in the 3rd round I think the Packers take him. Watkins has good straight line speed and would add some more versatility to the Packers’ defensive backfield. Watkins could serve a reserve role at both corner and safety his rookie year, having played both positions at Florida, and he has the skill set to develop into an starter at some point in his career. Despite not usually drafting for a need, I don’t see any way the Packers completely ignore the safety spot like they did last year. Bailey put up excellent numbers as a junior, recording 62 tackles and 5 interceptions. What makes Bailey a bit of a risky pick is his lack of experience at the safety position. Bailey is a converted linebacker who only has 1 year of experience at safety. Street has good size, decent speed and reliable hands. Street became Pittsburgh’s all time reception leader last season, catching 202 career passes. He will need to add some weight and strength for the NFL, but he could develop into a reliable pass catcher for the Packers. Lynch was one of quarterback Aaron Murray’s top targets at Georgia. He doesn’t have pass catching ability the top tight end prospects in this year’s draft have, but he is a willing run blocker, which could be an important trait for any Packer tight end considering their new found dedication to running the ball. . Tall with great length to bat down passes and keep offensive lineman away from his body, Urban is the prototypical 5 technique defensive end. At this point in his career he is not much of a pass rusher, but with some NFL coaching and strength training, he has the tools to develop those skills. Thompson loves a good value, and in the 5th round, Smallwood would definitely be a value pick. Smallwood looked like a 2nd day pick a few months ago, but his stock has fallen quite a bit, and nfldraftscout.com currently has him listed as a 5th or 6th round pick. He may not have tested particularly well at the combine, but Uconn’s defensive player of the year was very productive in college, with 332 tackles and 5 forced fumbles over 3 years. Johnson is an experienced, versatile offensive lineman who has played guard, center and both tackle positions at Vanderbilt. He could compete with JC Tretter for the starting center spot, or the Packers could ask him to bulk up a bit and develop him as a swing tackle. Leno doesn’t have experience playing all spots along the offensive line like Johnson does, but he has started 36 consecutive games at right and left tackle. Leno has the arm length to remain outside at tackle in the NFL, but he could also be a candidate to move inside to either guard or center. A big bodied tight end that could help the Packers in the red zone, Jensen wasn’t particularly prolific at Fresno State, but tight end wasn’t a huge part of their offensive game plan. Jensen has ideal size and a lot of upside in both the passing game, and as a run blocker. Bromley had 10 sacks as a senior and would probably be a better fit playing DT in a 3-4 scheme, but Thompson has a history of drafting 4-3 tackles and trying to convert them to 3-4 ends, a strategy that has yielded mixed results. 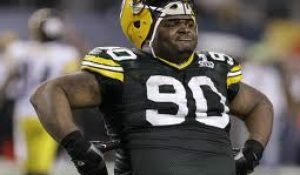 The Packers could use a developmental nose tackle with BJ Raji only under a contract for a single year. Allen wasn’t a play maker at Wisconsin, although 3-4 nose tackles rarely are, but he is willing to do the dirty work that a nose tackle is asked to do in a 3-4 scheme. He has been very durable, never missing a game in his 4 year college career. The Packers seem set on selecting a quarterback sometime in this draft to compete for a backup spot, and Wenning was one of the quarterbacks the Packers brought in for a pre-draft visit. Wenning had an impressive senior year, throwing for 34 touchdowns and only 6 interceptions, which helped him get an invite to the Senior Bowl where he looked like the top quarterback for the West team. This entry was posted in Packers 2014 - 2015 Season and tagged Brent Urban, Cody Latimer, Marcel Jensen, Ryan Shazier, Terrence Brooks, Trent Muprhy, Wesley Johnson. Bookmark the permalink. I like the dual-prong approach, Ian. Good idea! Thanks Al!. I was trying to think of a way to make a little bit different.